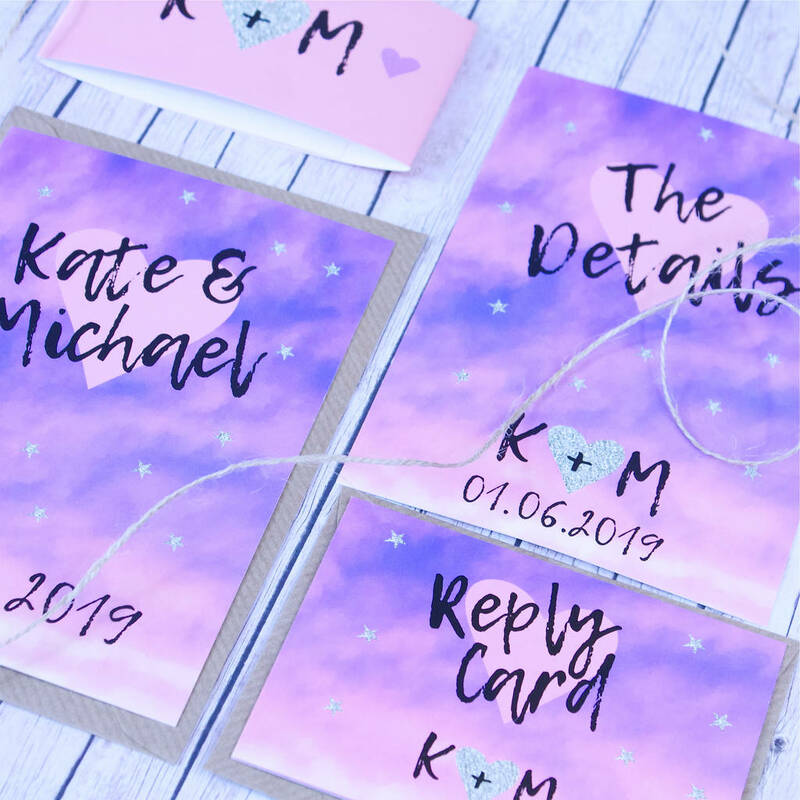 A unique wedding invitation bundle from our contemporary Sunset Lovers wedding stationery collection. The striking Sunset Lovers collection takes inspiration from dreamy sunsets and starry nights. Printed on thick 350gsm silk card all pieces are printed on the reverse too, making them a little bit more special! 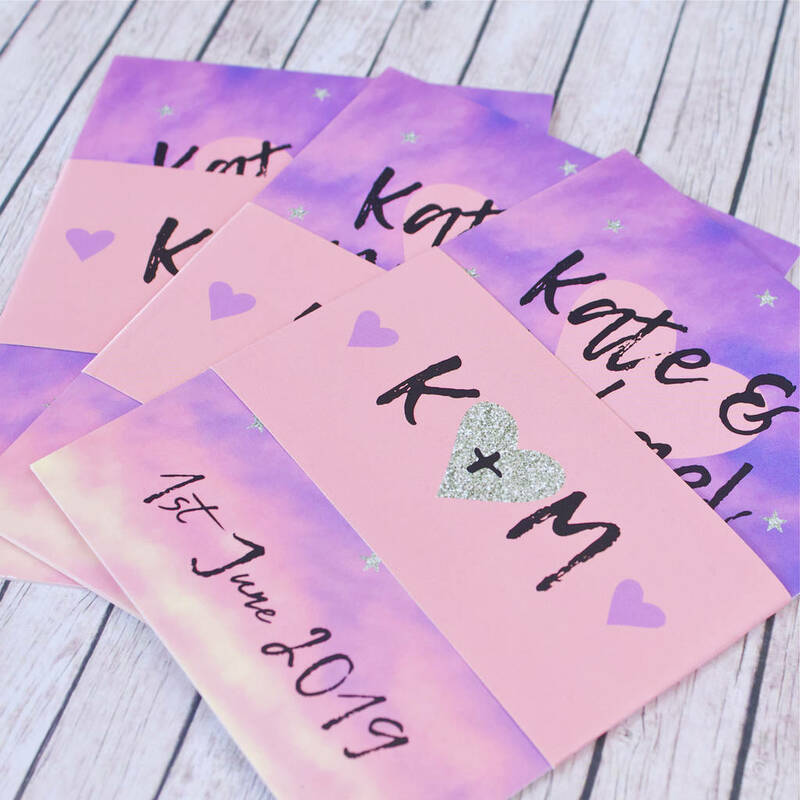 All Sunset Lovers stationery comes complete with your choice of white hammered, brown kraft, gold or silver envelopes and each bundle arrives in an individual cello bag. What's included in my bundle?? 1 X A6 wedding invitation - Featuring all the invitation details on the reverse, complete with a C6 envelope. 1 X A6 Details card - A great matching addition to your wedding invites, here we can include some extra information about your big day - accommodation, a gift poem, directions, details of your wedding website etc. Extra cards can be printed for more detailed information, just get in touch for details. 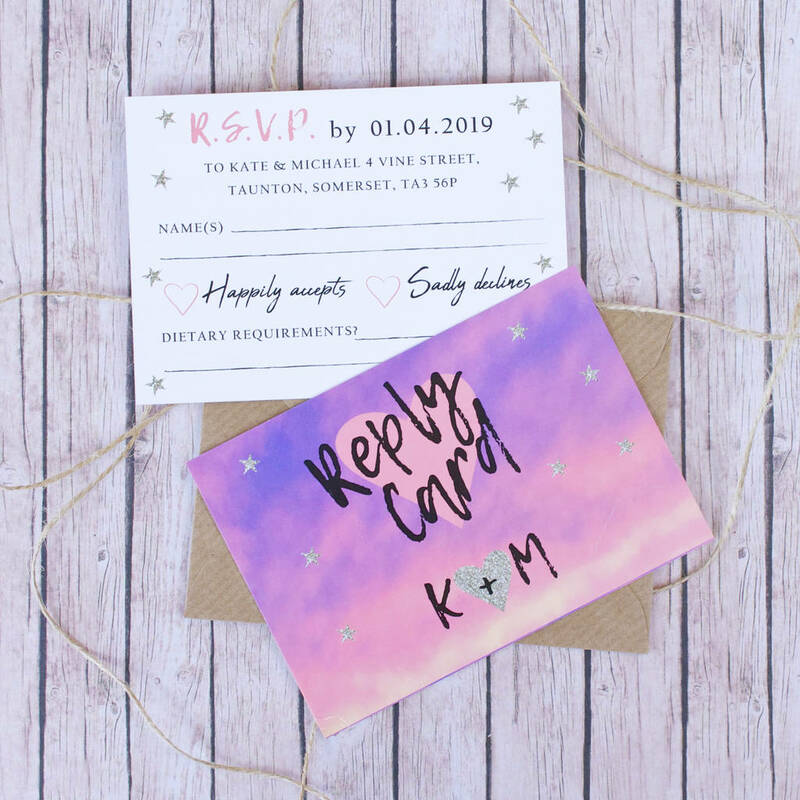 1 X A7 reply card - A great mini postcard, guests simply have to tick the boxes, include their names and post back to you in the matching C7 envelope. 1 X Belly Band - A 5.5cm wide personalised belly band to hold your pieces together and really finish your bundle off. 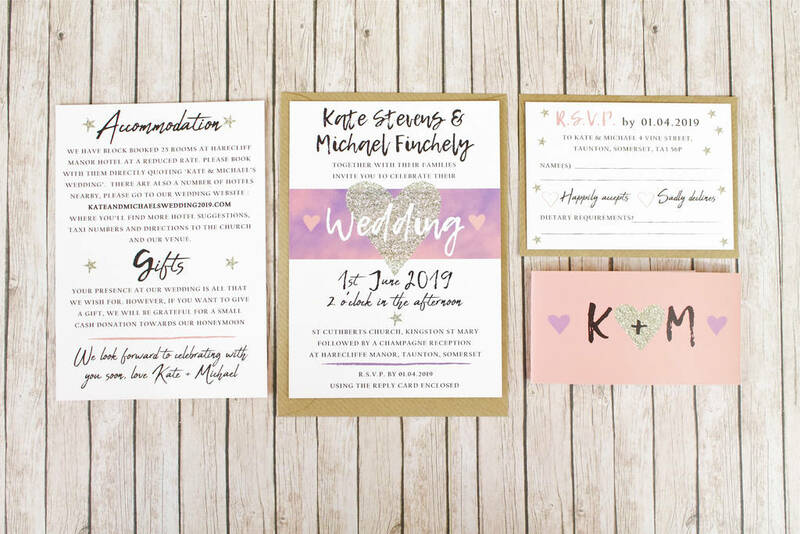 This is bundle as shown in the photographs however we can design your bespoke wedding bundle / package just for you, for example if you love the invite but don't need a reply card or would like an extra info card or a larger size. Get in touch prior to ordering and we can discuss options and prices. Discounts are available on larger orders and when buying several items. 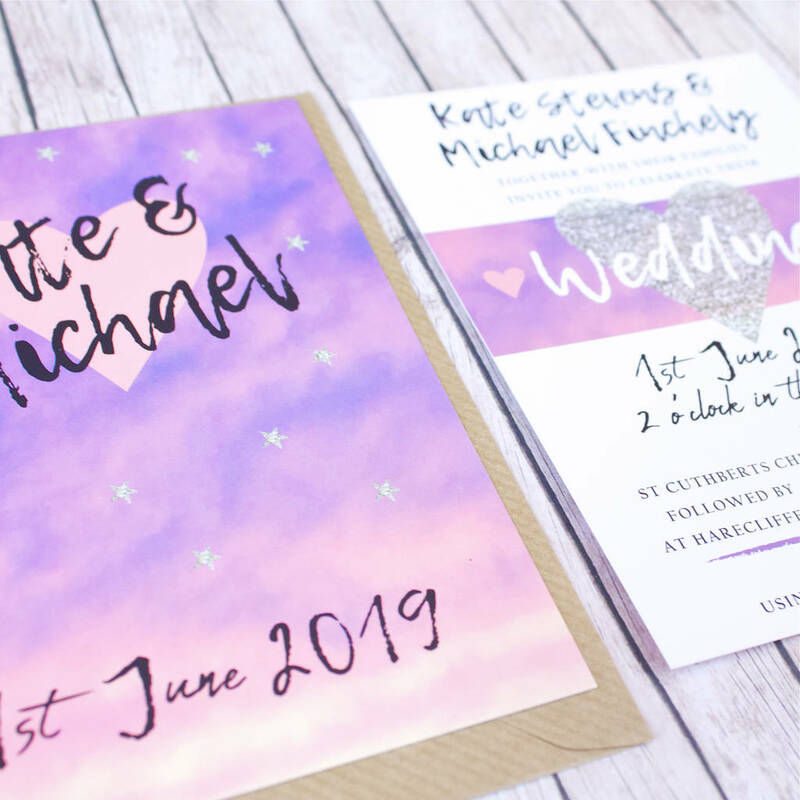 We also sell gorgeous evening invites and save the dates to match - please see separate product pages, samples of each are included in your full sample pack. 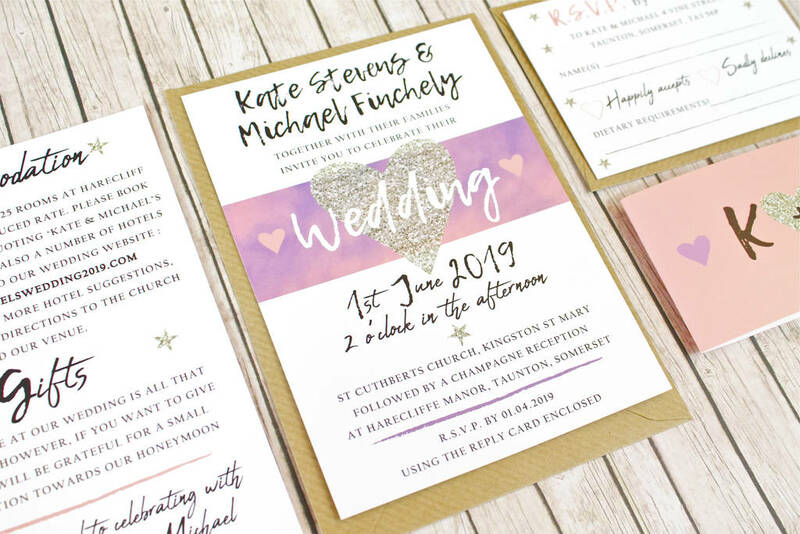 Please note we offer a full range of stationery including order ofservice, place cards, envelope stickers, menus, table plans etc - please enquire for details - there are to many options to include here and we love to put a bespoke package together for your wedding! 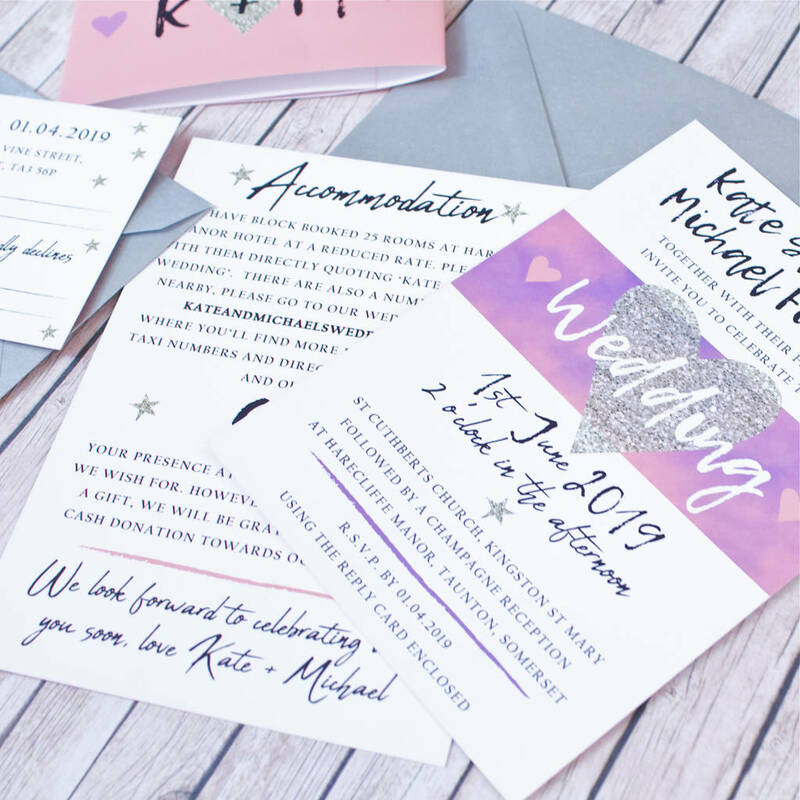 After you've placed your order, we'll get in touch to get all your wedding details information for the personalisation of your stationery and then send you a digital proof, so you can check you are happy with everything prior to printing. 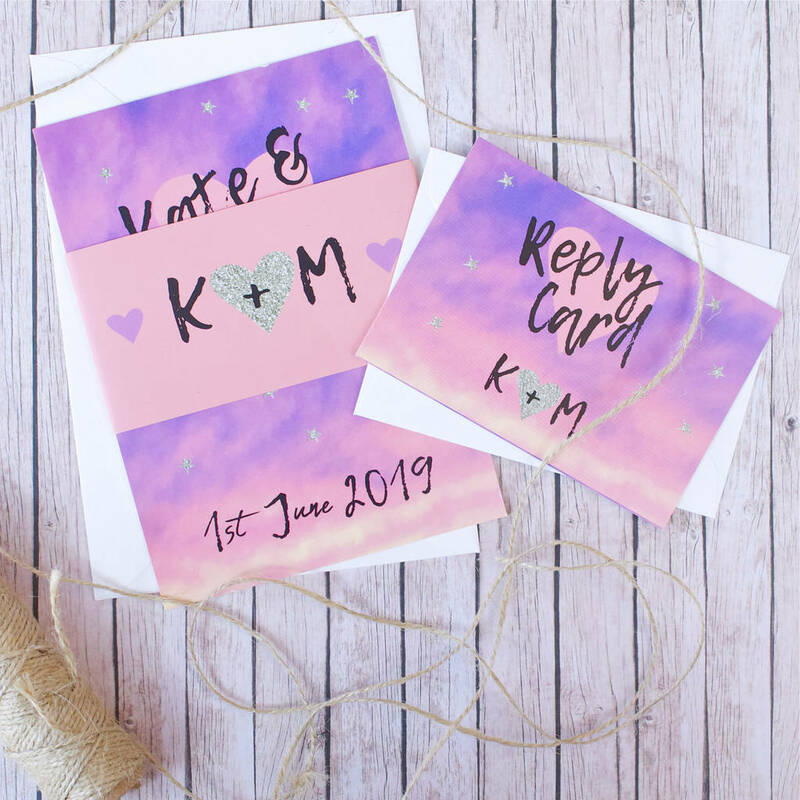 We want you to have your stationery asap but please allow two weeks for delivery . 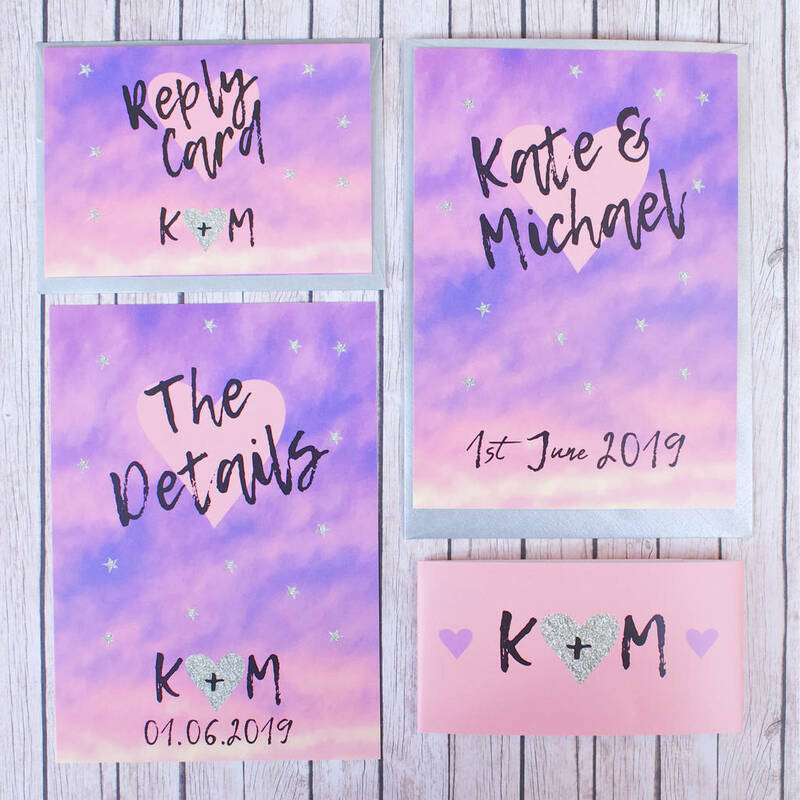 All stationery items in the Sunset Lovers range are printed on 350gsm silk card. All cards and envelopes are FSC approved.